Those campaigning for a Brexit frequently argue that Britain would have more control over its borders if it left the EU, protecting it from the large numbers of people hoping to settle in Europe. Marco Scipioni and Paula Hoffmeyer-Zlotnik explain the opt-outs Britain has already secured from EU migration and border policies and conclude that there would be no clear benefit from leaving the EU. With the European Union seemingly torn apart by the dispute over the current refugee and migration crisis, and with increasing difficulties in dealing with the flow of people coming into the continent, a Brexit might be regarded as an attractive option to secure control over Britain’s borders. While the images of thousands of people arriving daily in Europe might play in the hands of Out campaigners, the UK is probably in the most comfortable situation possible at the moment. With opt-outs on Schengen as well as migration and asylum legislation secured in the late 1990s, the UK still seems to be in the position of get the ‘best of both worlds’, as Tony Blair put it, by picking and choosing where it wants to cooperate with the EU. The UK is not a part of the Schengen area, which inter alia removes internal border controls between the participating EU Member States and some non-EU members (Iceland, Norway, Liechtenstein and Switzerland). This also means that the current pressure under which the Schengen area finds itself, with several Member States having re-imposed border controls, does not directly affect the UK. However, to the extent that the re-imposition of border controls persists in the medium to long term (with speculation that reinstatements may last up to two years), the effects might trickle down to other policy areas of great concern for the UK, such as the smooth functioning of the single market. On a broader point, again in the border control area, the UK has exercised its opt-in selectively. The UK has managed to get into information-sharing mechanisms of the EU, such as the Schengen Information System. 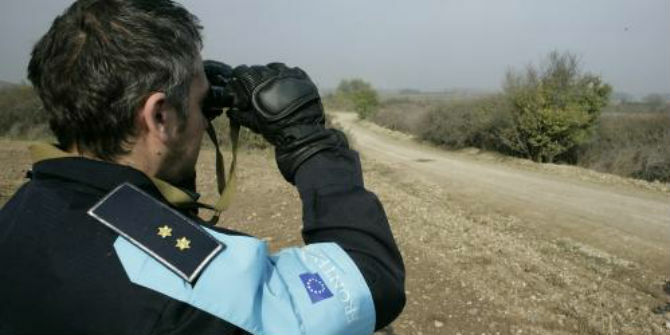 Conversely, it was not able to join Frontex, achieving only an observer status in the Management Board. That legal impasse did not prevent the UK from participating in several Frontex operations, though. As a consequence of mounting pressure at the external borders, the Union is currently considering the creation of a ‘European Border Guard’ with, reportedly, the support of the majority of the member states. That measure envisages radical changes in the management of border controls in Europe with, inter alia, further empowerment of EU bodies. While these developments are not in tune with the traditional UK preference for less centralisation of powers within EU institutions, it is not clear what consequences they might have in terms of practical cooperation. When it comes to the migration policies of the EU, Britain has a general opt-out, which means it is not obliged to take part in common policies such as the contentious relocation scheme set-up last year to distribute asylum seekers arriving in Italy and Greece to the rest of the EU. Indeed, whereas European leaders such as German chancellor Angela Merkel have sought common solutions at the European level, Britain has every (legal) right to lean back and let the others deal with a problem which is perceived to be one of the continent. The ongoing crisis in Europe seems to have determined the end of the Dublin Regulation, which deals with allocation of responsibility for asylum processing. Contrary to all remaining asylum legislation adopted after the Lisbon Treaty, the UK does take part in the Dublin Regulation. If the UK were to leave the EU, it would be responsible for all asylum applications which are placed in Britain without the possibility of using the Dublin arrangements to claim that other countries are responsible for processing those applications. When looking at the numbers, the UK has actually more incoming requests (requests by another member state for the UK to take responsibility for an asylum seeker) than outgoing requests. However, whereas about two thirds of the incoming requests were refused by the UK in 2012, around 75% of the outgoing requests towards other member states were approved (see figures 16 and 17). Furthermore, whereas actual transfers averaged at about 30 percent of outgoing requests in the EU as a whole, the UK fared relatively well in absolute numbers, being one of the best performers. The Dublin Regulation thus allows the UK to send back more asylum seekers to other member states that it has to take back. If the UK were to leave the Dublin scheme, it would a priori have to deal with all asylum applications placed in the country. That being said, and to put figures into perspective, actual transfers represented a fraction of the overall asylum applications in the UK in the period 2009-2014, ranging from 3 to 0.8 percent. The European Commission wants to present its proposal for replacing the Dublin Regulation with a new mechanism in March. It has been reported that the first country of entry-rule would be deleted from the framework but linked to the EU’s relocation scheme. If that were the case, it is highly unlikely that the UK will opt in. Britain’s commitments to take in refugees, such as the resettlement plans for 20,000 people over the next five years, are taken outside the EU framework. From the government perspective, the choice to expand the existing resettlement scheme killed at least three birds with one stone. First, it represented a line of continuity with the argument made in the past by the Conservative government that allowing migrants already in Europe would only encourage other people to undertake a perilous journey (mentioned already at the times of Mare Nostrum operation in the Mediterranean). Second, it preserved sovereignty concerns paramount to the Conservative government in terms of being able to decide how many, who, from where, and when refugees will be accepted in the UK. Thirdly, by intervening directly in the regions of origin, it avoids any formal concession to the EU-led policy, while at the same time indirectly meeting requests to do more on the ‘migrant crisis’ coming from allies in the renegotiation of UK membership. Nevertheless, it seems that many politicians believe that the ongoing refugee crisis does make people vote to leave. As Geoffrey Evans and Jonathan Mellon have pointed out, immigration represents the most important topic in public opinion polls at the moment, and people who think Britain has let in too many migrants over the last years are much more likely to vote to leave. Timing might be crucial. If numbers remain as high as they are at the moment and possibly rise in the spring and summer, and if migration continues to make the headlines across Europe, this might affect the outcome of the referendum. In addition, the electorate might react negatively to further legally binding EU initiatives that might be pictured in the media as another instance of Brussels imposing itself, even if the UK would be unaffected thanks to its opt-out. The UK is already enjoying a privileged status in this area of EU cooperation, and the recent proposals for policy changes connected to the migration and asylum crisis in Europe are either of no concern or with unclear but manageable consequences. Therefore, there seems to be no clear benefit for the UK executive from a Brexit scenario in this policy area. However, migration politics is very often more about symbols than about rational calculation. 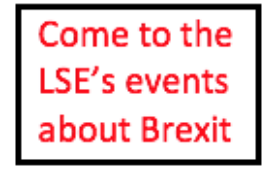 This post represents the views of the authors and not those of the BrexitVote blog, nor the LSE. 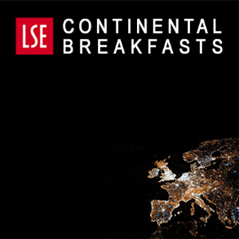 Marco Scipioni is an LSE Fellow in Migration and EU Politics. Paula Hoffmeyer-Zlotnik is an MSc student at the LSE and a graduate of Westfälische Wilhelms-Universität Münster. Migrants can’t get to the UK without passing through the continent. UN rules say you claim asylum at the first safe country you arrive at. We simply return all migrants to where they cam from & fine the Ferry Company, Airline or Rail operator the costs of the process for each individual they facilitate the passage of. Net Immigration is often quoted in the press but gross migration is important too? Why is this? Since the year 2000, 10,000,000 immigrants have entered the U.K (ONS FIGURES) . The Total Fertility Rates of the native population of this country had fallen to 1.63 in the latter part of the last century, but the average TFR of the incoming immigrants was 2.1. Birth rates are now consequently up to nearly 2 again. While Science is extending human life and we are still getting 600,000 immigrants annually but only about half this number emigrate, the U.K will become evermore crowded and all infrastructures will likely worsen creating more and more misery. (By the middle of this century the largely ‘white’ population, .i.e. those with ancestry going back before WW2 will be an ethnic minority in its own country). While demographers and scientists and presenters have been warning of over population for the last 40 years (I.e. D Attenborough) no politician is going to do anything and my efforts to persuade the E.U. to consider a relaxation of ‘free movement’ are ignored because for them, idealised policy wins over pragmatic. For this reason I voted for Brexit. I was horrified to discover last year that immigrants from outside the E.U. were greater than those within the E.U. If we cannot control these, the U.K. is doomed! While Germany and Italy have TFR’s of 1.4 they have the luxury of stability and a choice of who they let in. I pleaded with A Merkel not to let in unchecked Syrians but she took no notice ( probably never even saw the e_mail). For 8 years I have been collecting Immigration data. By and large a complete waste of time!